EA Access members can enjoy the latest entry into the Battlefield franchise as much as they want. It’s the real deal! EA Access members can experience the strategy, speed and story of Battlefield™ Hardline as the game enters The Vault, only on Xbox One. 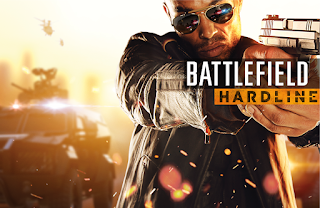 Battlefield Hardline joins a growing collection of titles in The Vault, including Dragon Age: Inquisition, Battlefield 4, FIFA 15, and Need for Speed™ Rivals. Players simply download the game from EA Access and can play as much as they want. Battlefield Hardline delivers the ultimate cops and criminals, blockbuster, action fantasy delivered through a world-class multiplayer experience that fans have come to love from the Battlefield franchise and an all-new episodic single player campaign inspired by modern TV crime dramas. EA Access members can experience the best of EA for just £3.99 a month. Members get unlimited play of every game in The Vault, a growing collection of more than a dozen great EA games including Battlefield 4, FIFA 15, and Dragon Age: Inquisition. They can also play upcoming EA games before they’re released, and get an exclusive 10% discount on all EA digital purchases on Xbox One. The Play First Trial of Need for Speed hit the streets on October 29, followed by Star War Battlefront on November 12. Learn more at http://www.ea.com/eaaccess/en_GB.html .